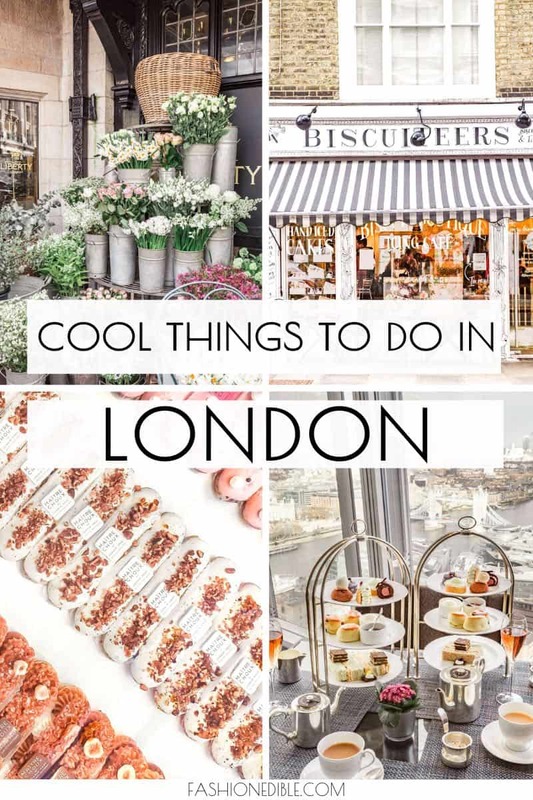 I feel like I could write a book about what to do in London and still not cover half of it. 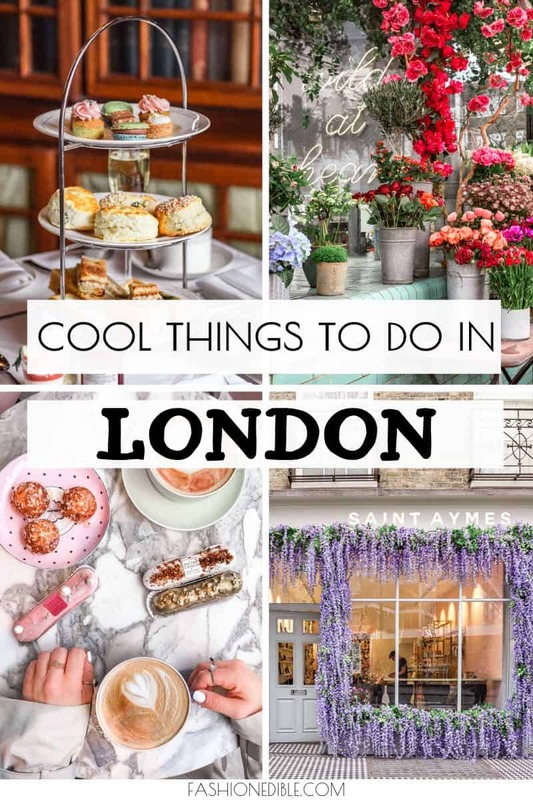 I was in the famous city for about 4 days (part of my Manchester London Weekend visit) and while I can usually tour a city in full in that amount of time, a month would quadruple this list of cool things to do in London. 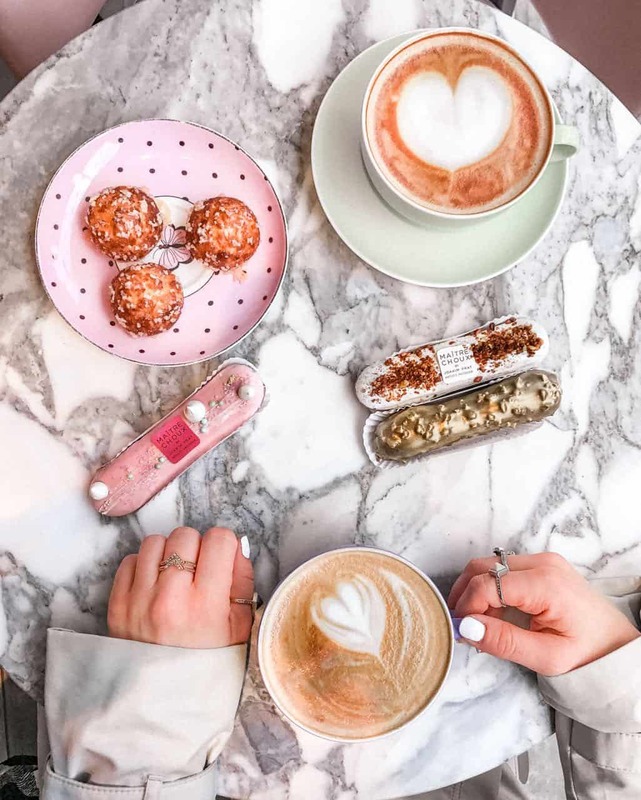 It’s an interesting city in every way: it’s rich in history, has many photo ops, plenty of museums to tour and cute cafes to visit. 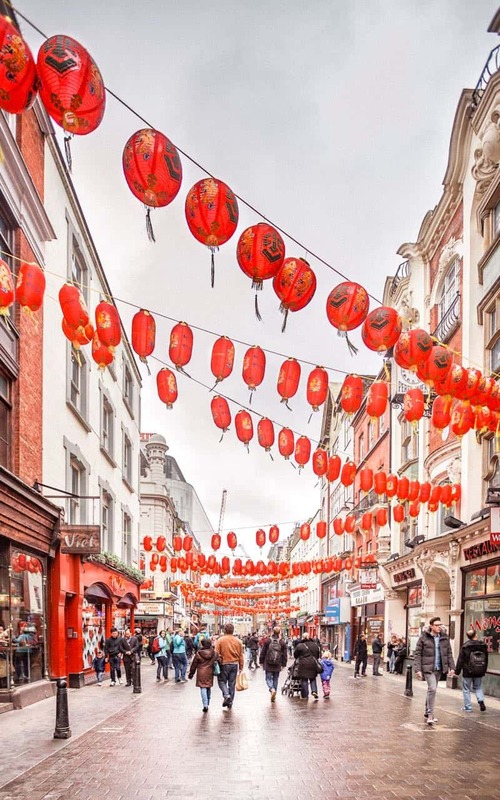 I was excited to just walk around and photograph different areas from Notting Hill to Chinatown to Soho to Carnaby. 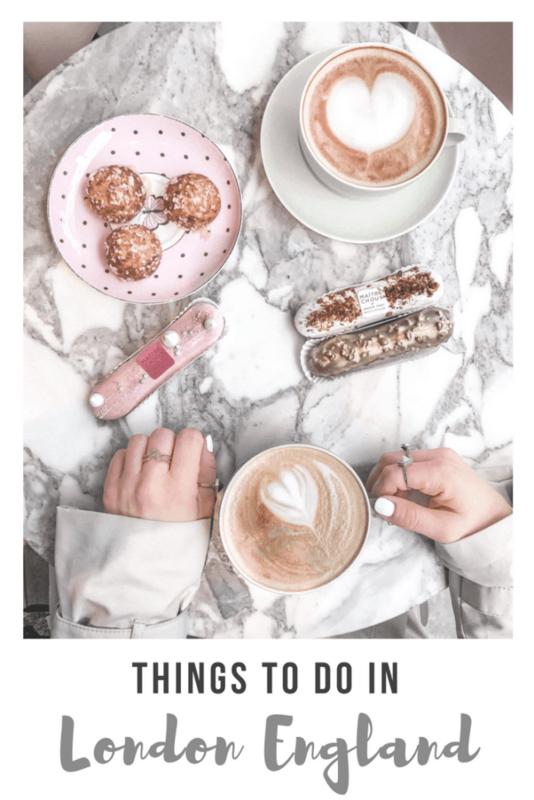 If you’re having a hard time figuring out what to wear on your travels to the UK, then read my post on what to pack for a trip to London! Visiting Europe for more than a week? Check out these Best 2 Week Europe Itineraries! Bubblewrap Waffle – Unlike a lot of pretty food, these waffles rock. I got a waffle with vanilla gelato, a drizzle of chocolate and popcorn. Friends got the strawberry and chocolate one and we all agreed that they were absolutely delicious. I’d probably recommend sharing because it’s A LOT of waffle but if you are still brave after seeing my photo, go for it and order your own! Cost is approximately 7 pounds. 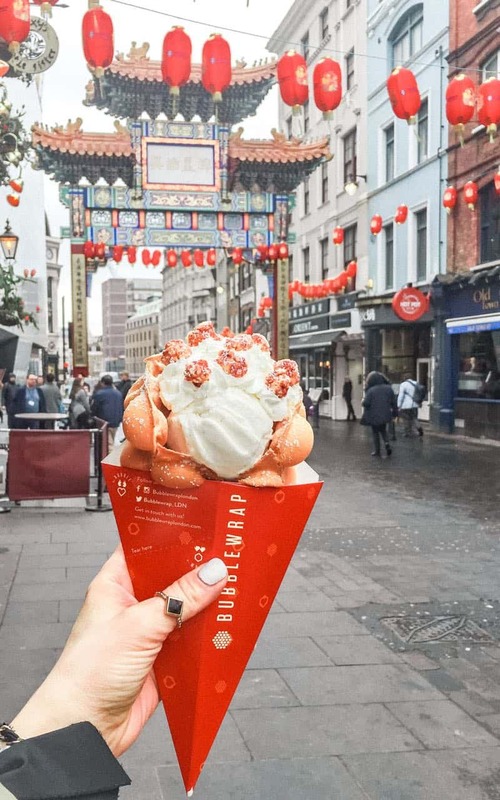 Once you’ve got your waffle, walk around Chinatown and explore this fun area. 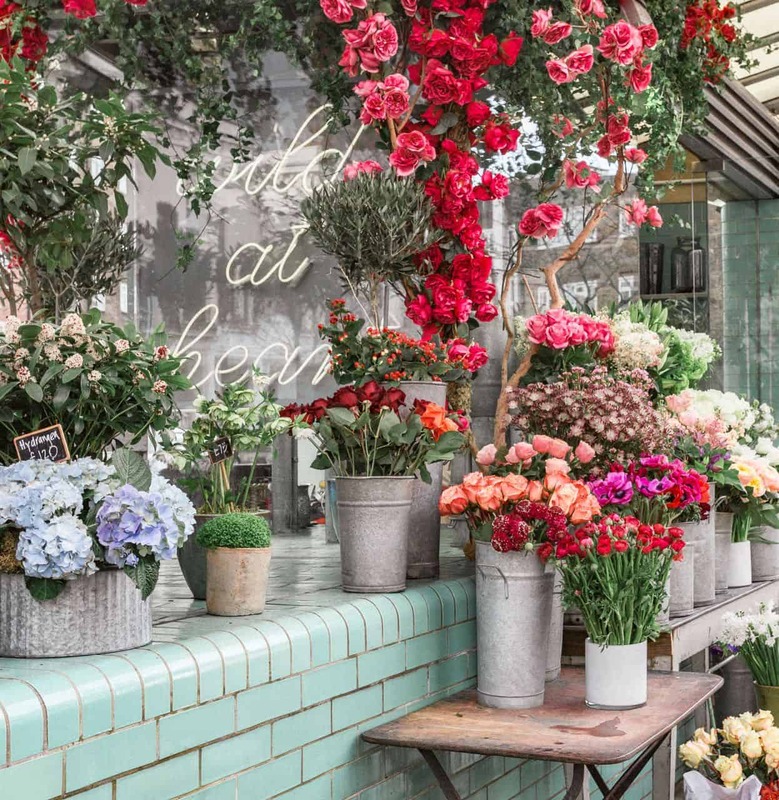 Flower shopping at Wild at Heart – Let’s be honest, if you come here, it’s to take lots of photos of this super photogenic flower shop. Not only is the shop located on the cutest corner but it sports blue tile and some of the prettiest flowers you’ve ever seen. This is a hotspot for Instagrammers and I completely understand why. 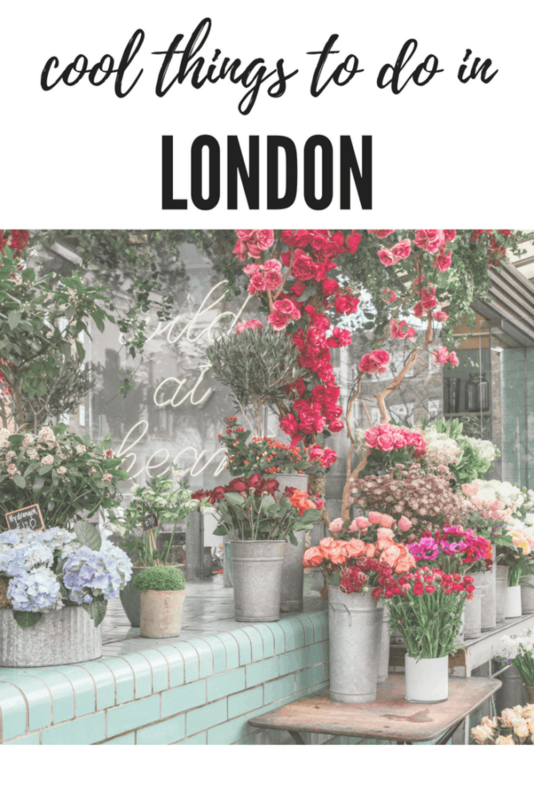 cool things to do in London UK: visit flower shops! 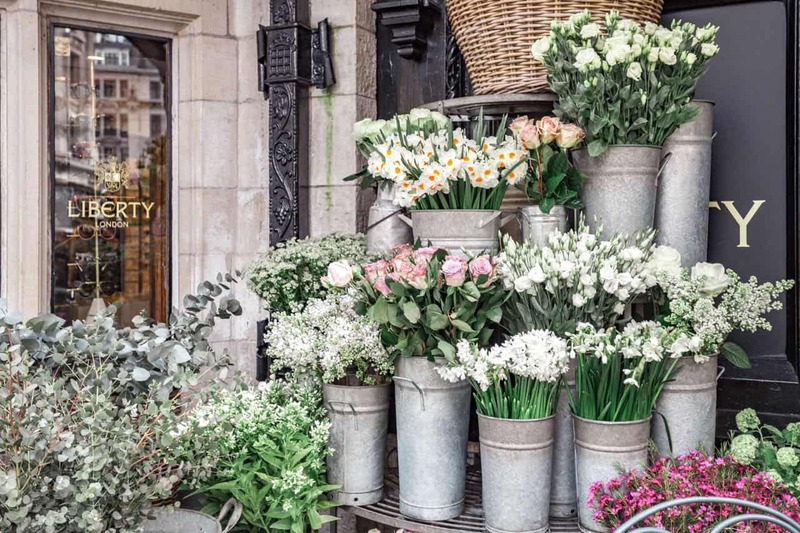 If you want another awesome flower place to explore, check out Liberty London. They have a pretty amazing storefront! 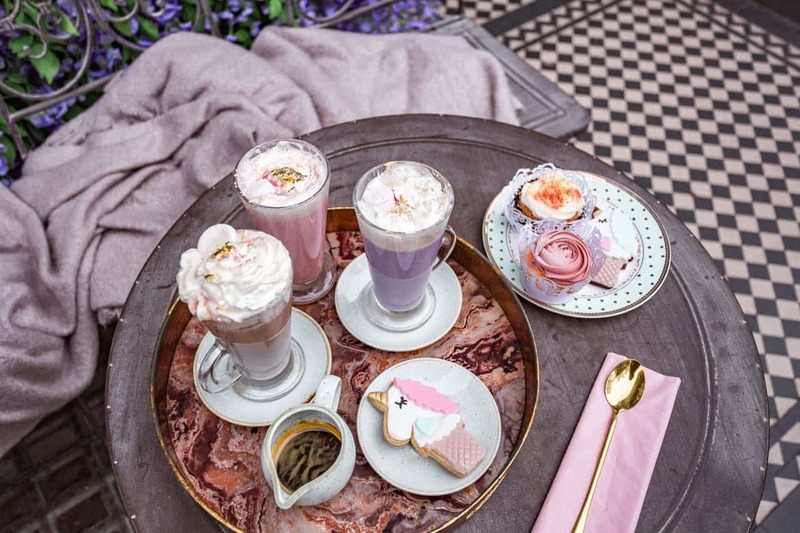 Enjoy a unicorn latte at Saint Aymes – Who doesn’t love unicorns and purple and pink lattes?! 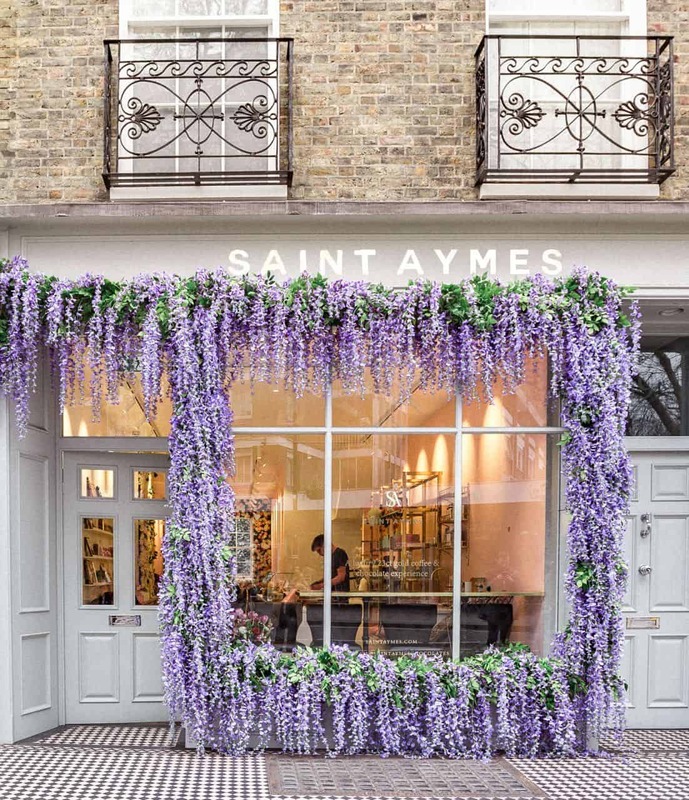 This cute store has the most beautiful flowery window displays year-round. The wisteria pictured here is actually fake but it looks so real and beautiful that you can’t help but take a photo of it! The flowers rotate so you never know what will be on display when you visit! 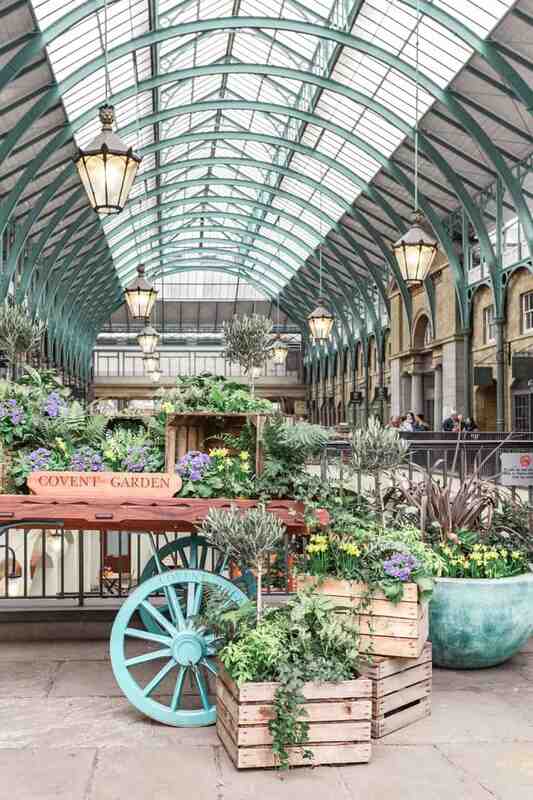 Explore Covent Garden – Walk around Covent Garden until you get hungry and then grab a bite. 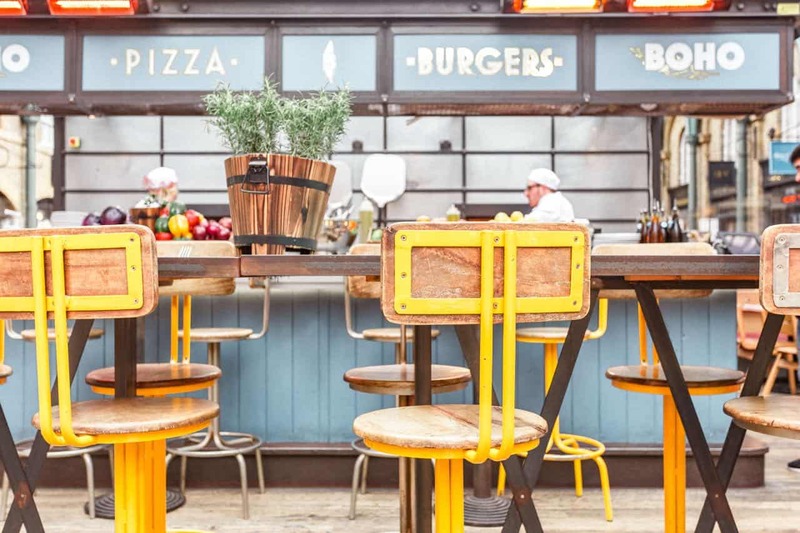 I loved the burger joint with the yellow stools (photos below). It was a cute shop and the staff were really nice. Note that this particular restaurant is for a quick bite. 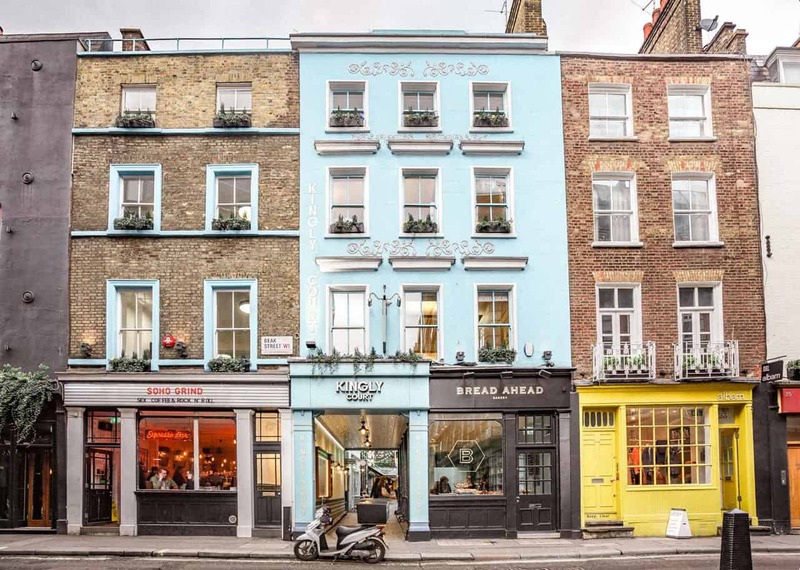 Covent Garden has a lot more restaurants much more elegant than this one. 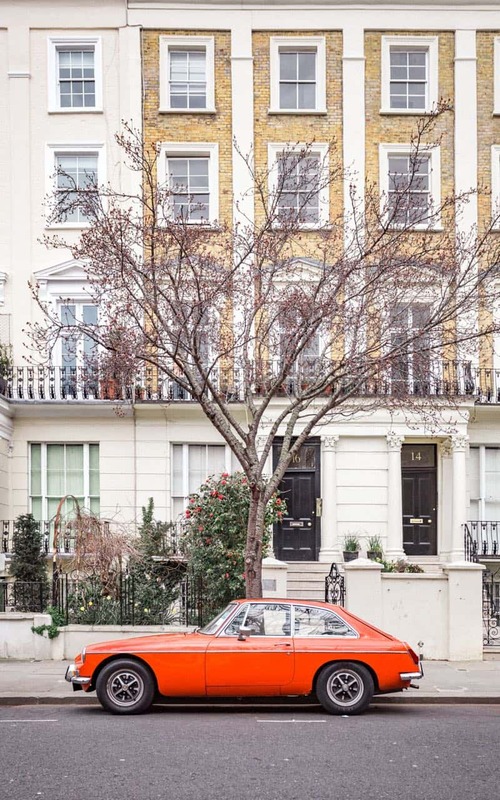 Go vintage car hunting – I’m not even a vintage car lover but I do love taking photos of these fun beauties. 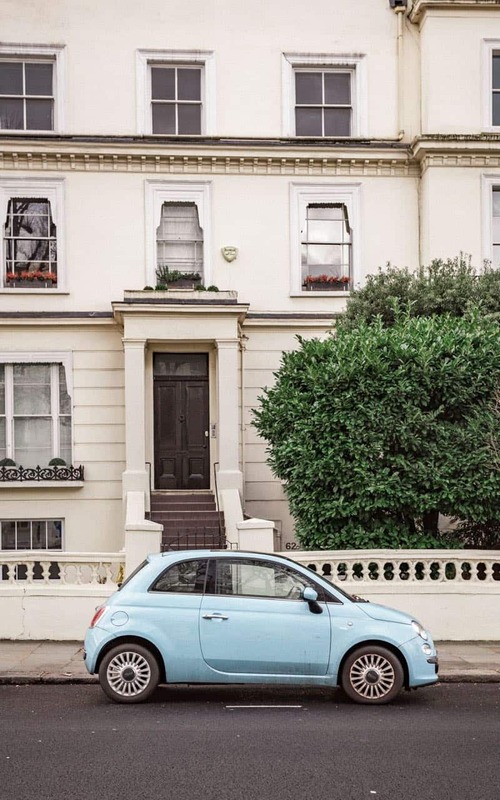 Keep and out eye while you explore London as you’ll never know which car you’re going to spot next! 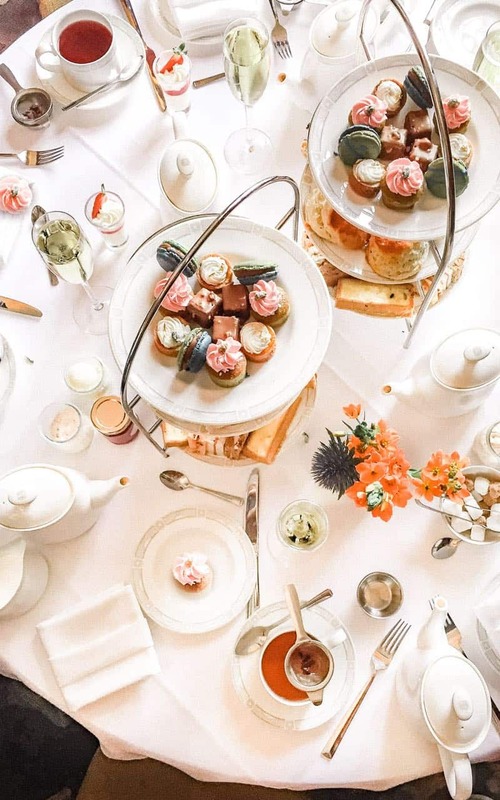 Afternoon tea – Take your pick from a pool of choices for afternoon tea. 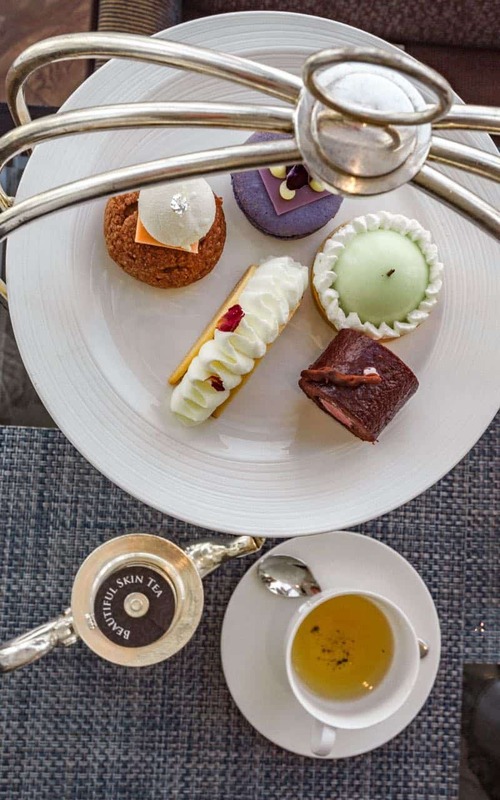 You’ve got London Marriott County Hall for elegant tea with a view, the Shangri-La for a more modern take on tea time, the Savoy London for a classy experience and so many other options. 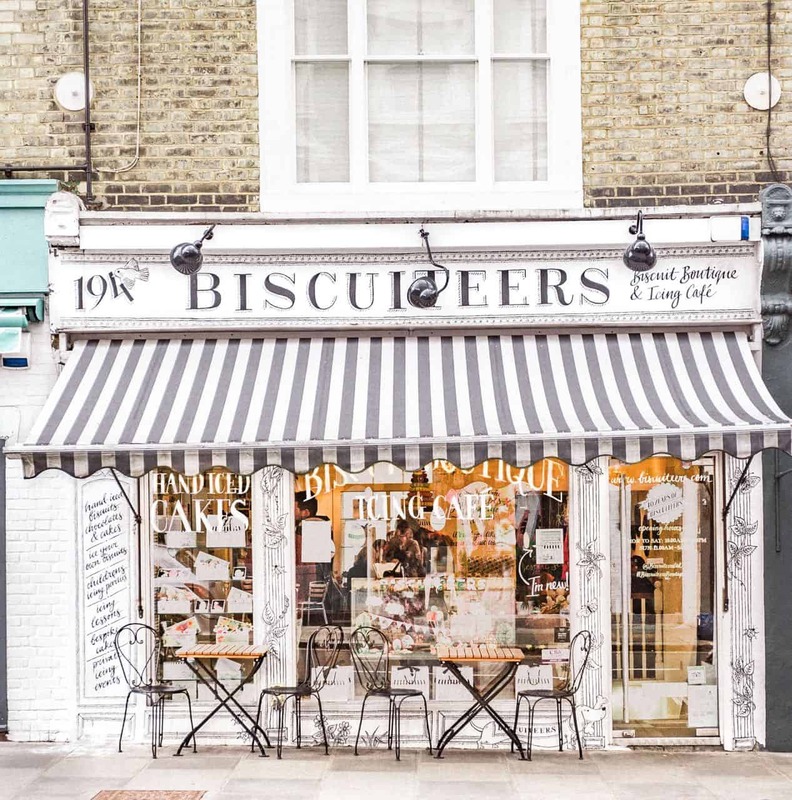 Wander Notting Hill – Even if you’re not a Notting Hill movie buff, this neighborhood is definitely one of the top things to do in London. 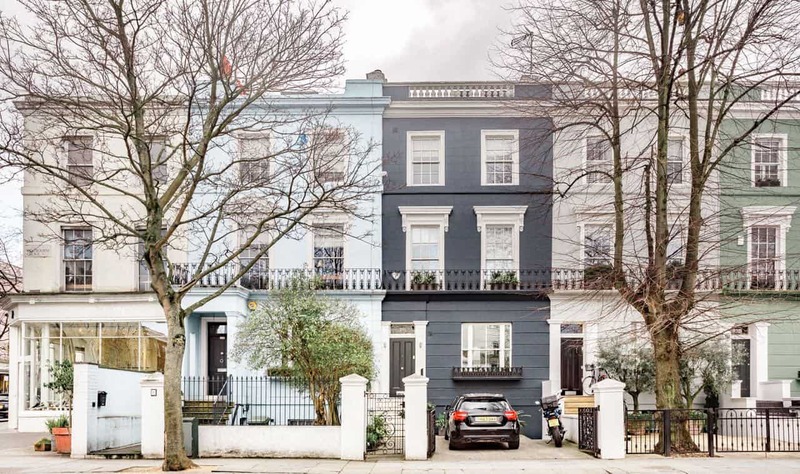 The houses are picturesque, the shopping is boutique-style and for some reason, it just doesn’t feel as touristy as some other parts of London. 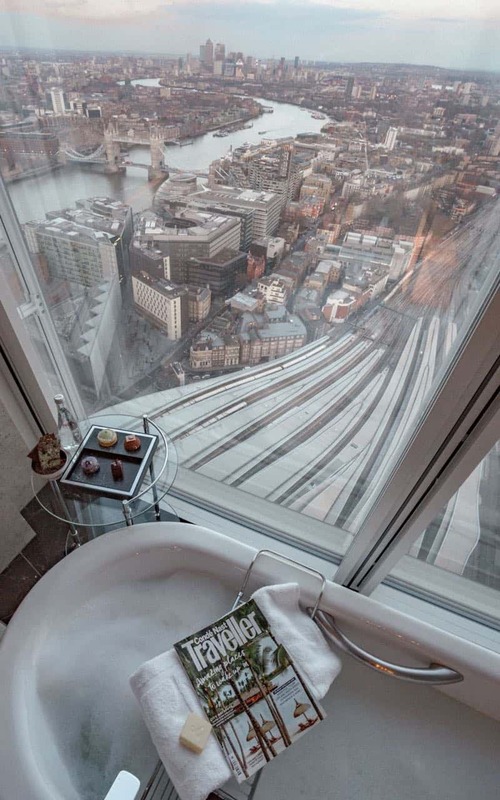 Visit The Shard or stay at the Shangri-La – You can either opt to stay at the Shangri-La (highly recommended) or visit The Shard (a modern and beautiful skyscraper) for some great views over the city. 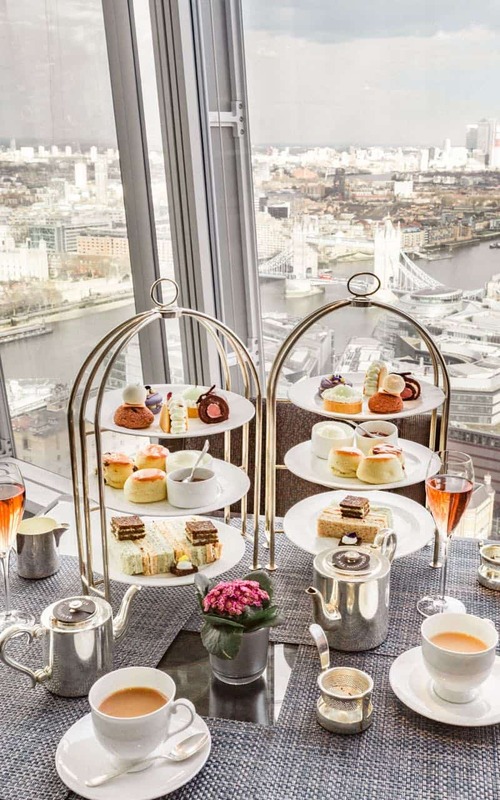 As mentioned above, you can have afternoon tea (with champagne!) 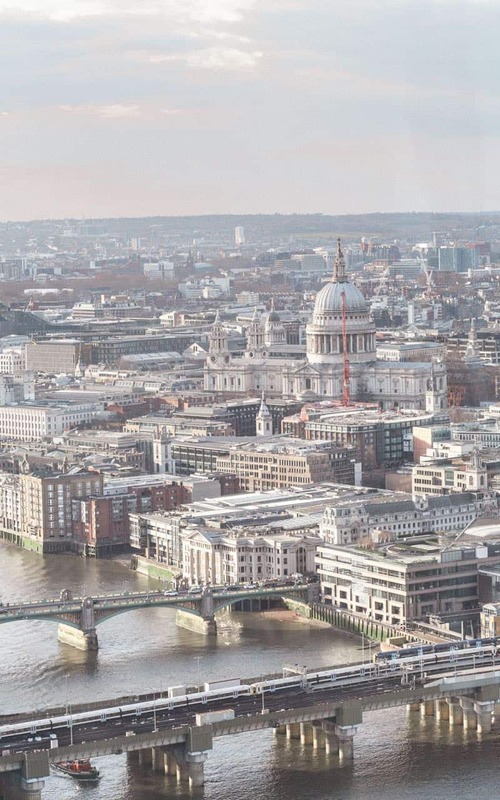 and enjoy these dramatic overlooks across London. 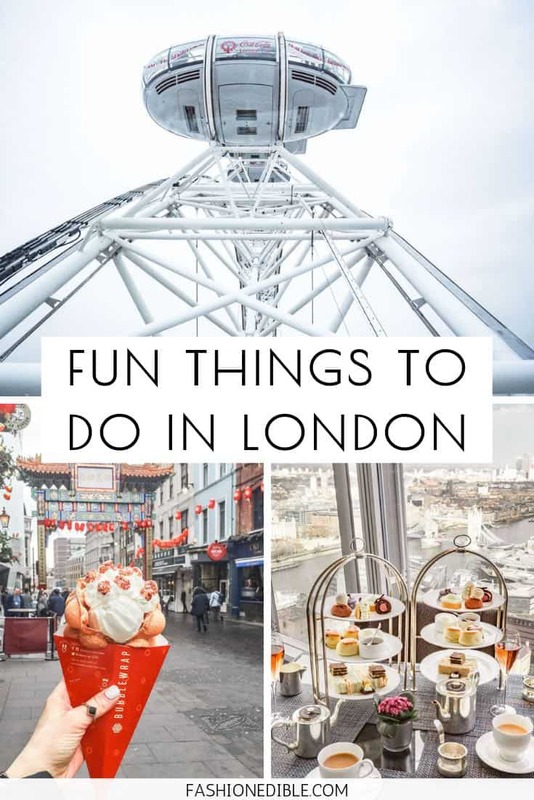 Go up the London Eye – If you’re into super touristy things to do, then you’ll love the London Eye. 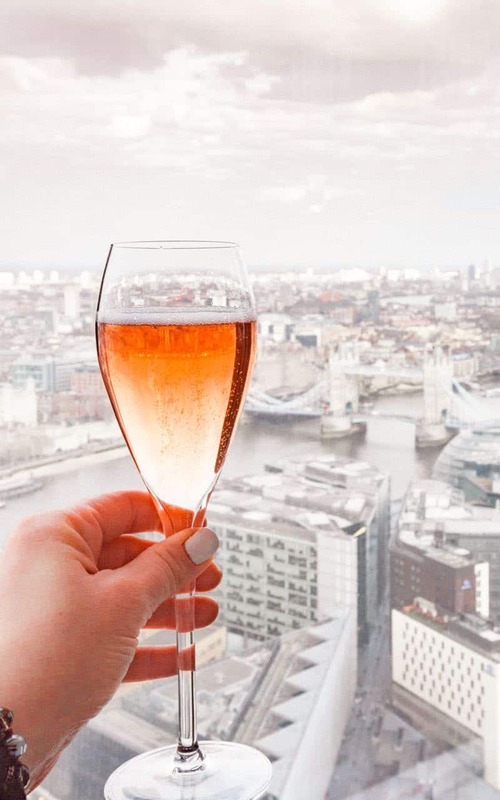 The views over the city are great (IMO the views from The Shard were better) and you can enjoy one of those “London must-dos.” It’s a short tour so you’ll finish in under an hour and then be ready to explore more of London. 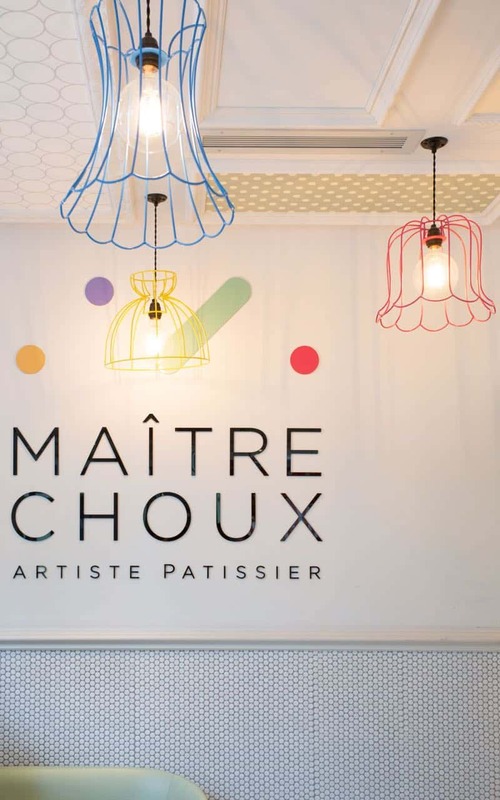 Enjoy a coffee and eclair at Maître Choux – This delightful eclair shop has the prettiest eclairs I have ever seen. 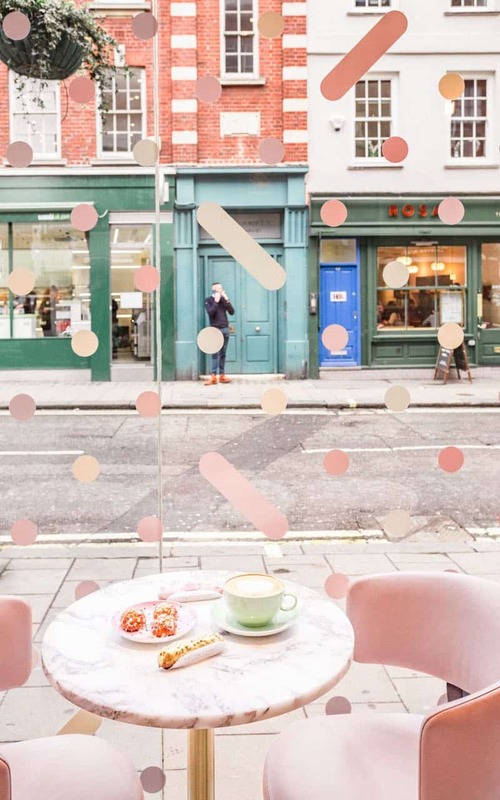 It’s prime location makes it the perfect spot to sit and enjoy a coffee and some people watching. 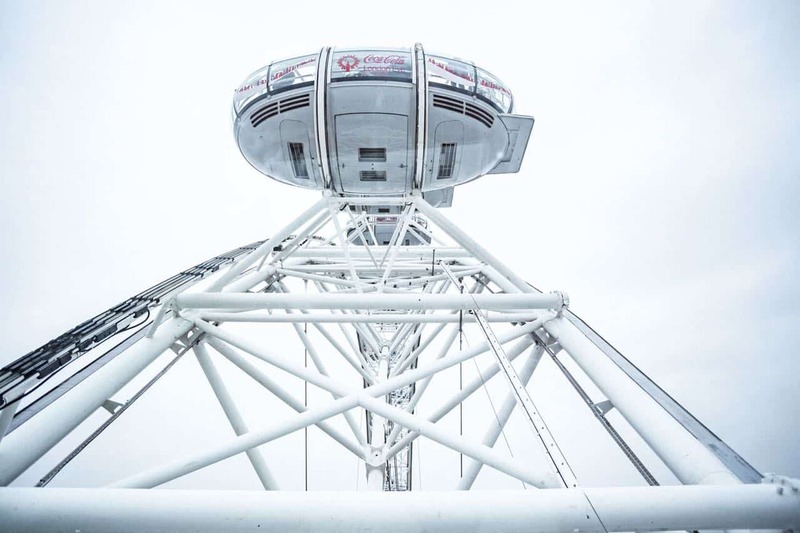 Climb the O2 – For a little bit of adventure, buy a ticket to climb The O2. It’s pretty easy to do and a lot of fun if you’re with friends or family. They have several different climbs so you can choose which best fits your schedule. And that’s my list! 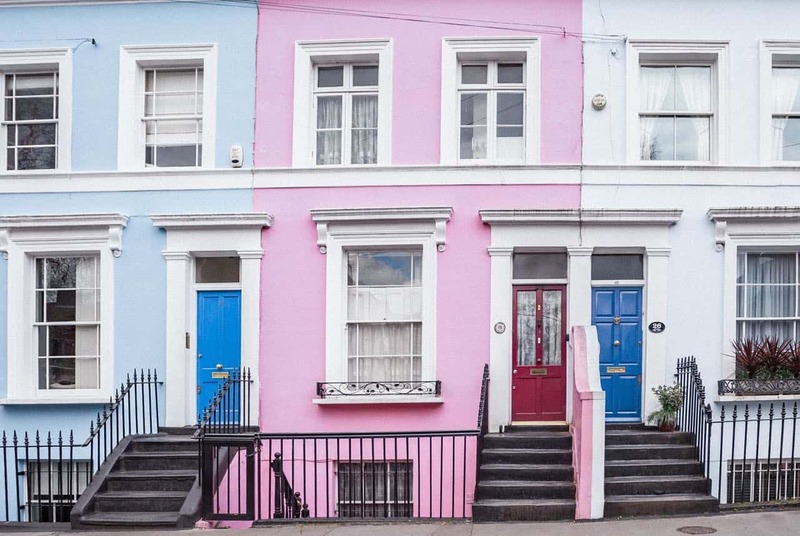 London is such a great place to visit and is never boring. 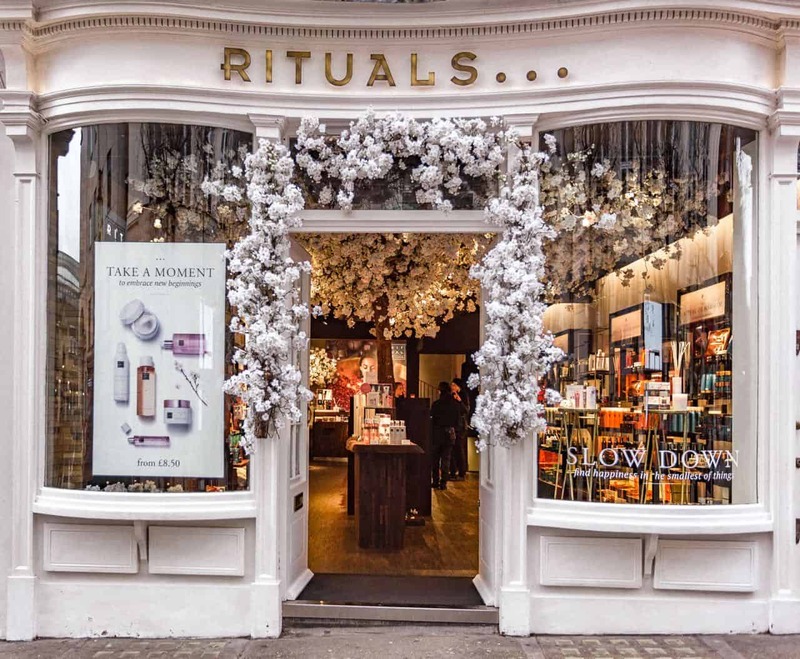 If you’re wondering what seasons are best to visit, then I’d recommend spring for the beautiful blooms (and wisteria), summer for nice weather, fall for beautiful autumn-themed decor in Covent Garden and across the city and winter for snow dusts and beautiful Christmas decorations. 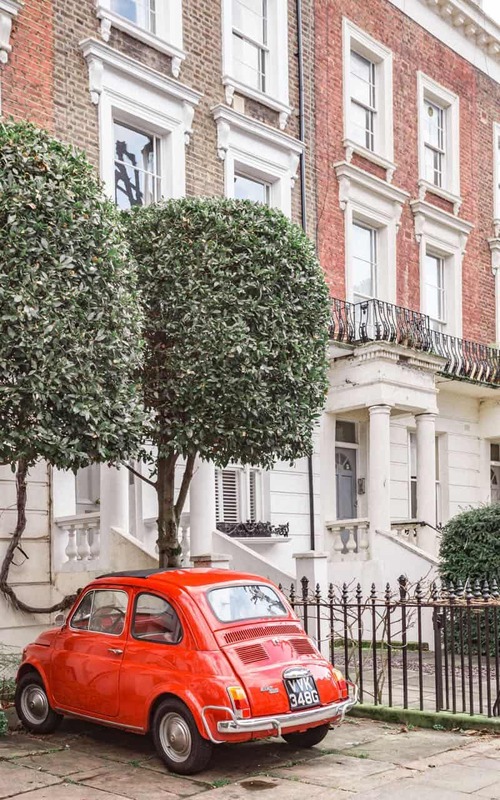 London is amazing, isn’t it <3 Especially in the west! BTW – I love your pictures! Thank you!! It’s such a fun city! Great post! I’m going to London next weekend just for a day and a half and don’t even know where to start with planning what to do! Yes!! 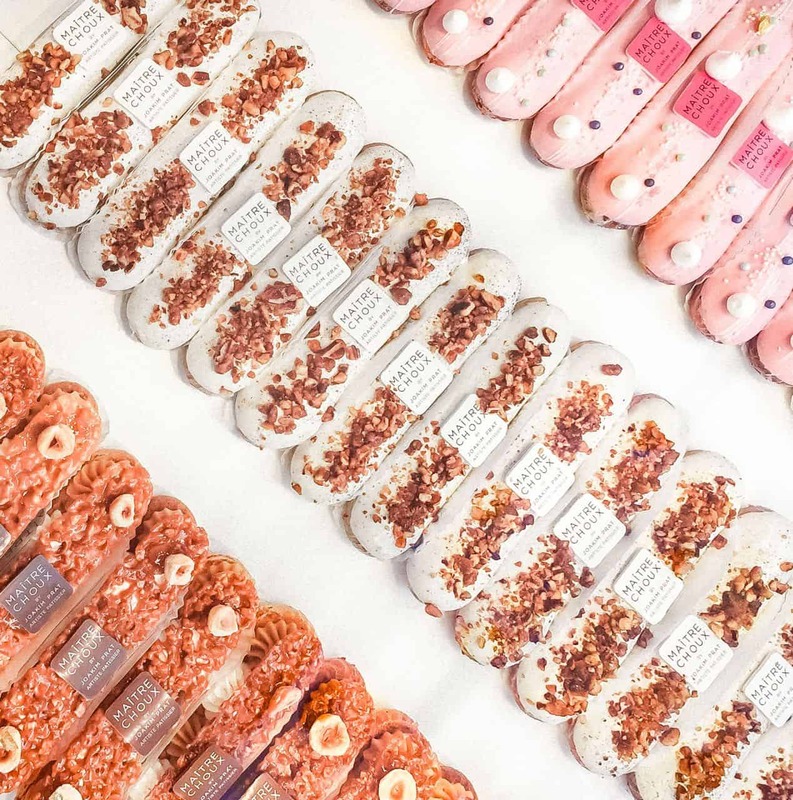 It is the perfect dessert/snack and they all look so pretty! I’m in love with flower markets <3 Also, that bubble wrapped waffle looks so good. Great pictures, you'll have to let me know how you're editing them! Same here! 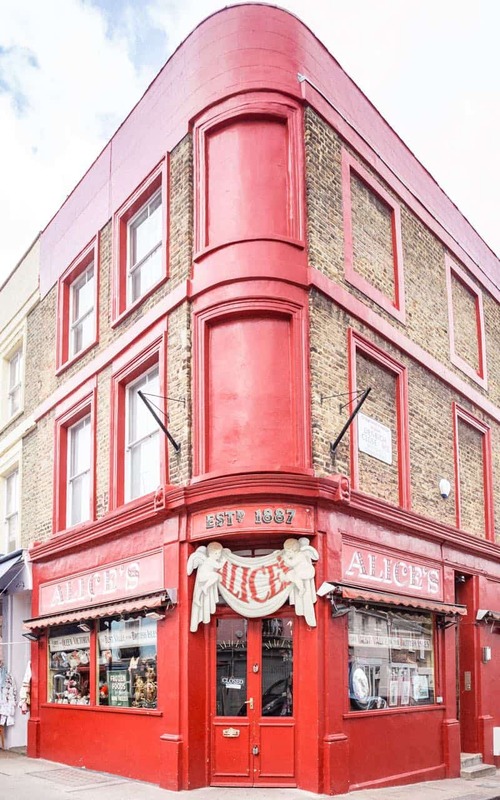 The waffle was amazing – I wish I had a shop like it back home 🙂 p.s. I edit in Lightroom! Your photos are beautiful!! 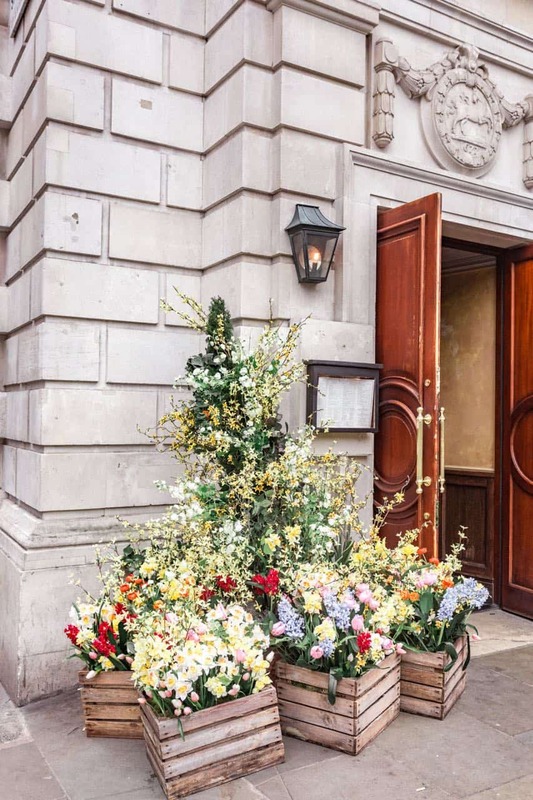 I love the Wolseley for tea but can’t wait to try your recommendations. PS immediately searched for what camera you have because your pics make me want to get rid of my Sony A6000 – ha! 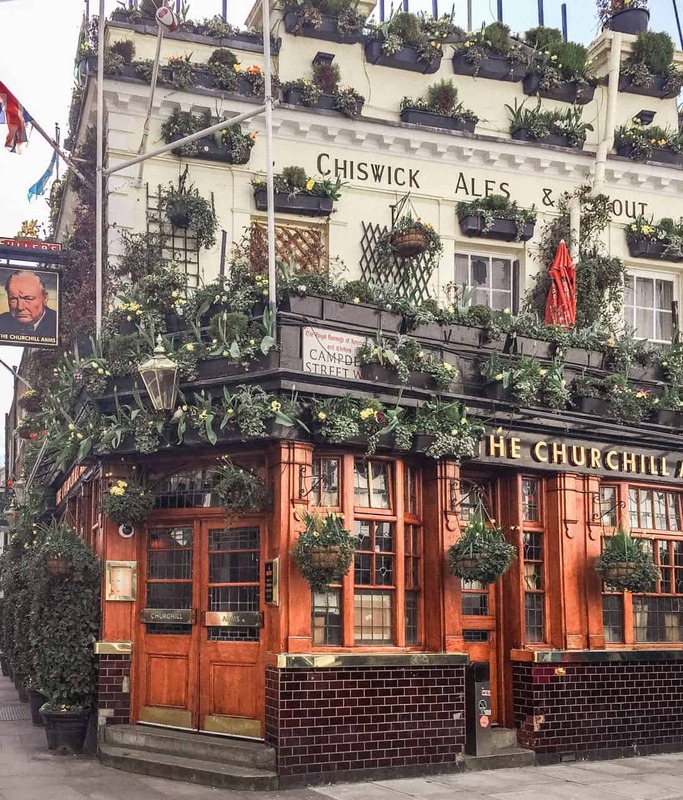 London is such a cool place to explore and your pictures show that, Grace! Your post caused the travel bug to itch me and I guess I’ll have to cross London off my bucket list. How many days would be enough to see all of the highlights there? Hi Lydia! Ahh that’s a tough question. I guess it depends on what type of traveler you are and if you don’t mind rushing through things. I would think 7 days is fine for a more laidback trip. 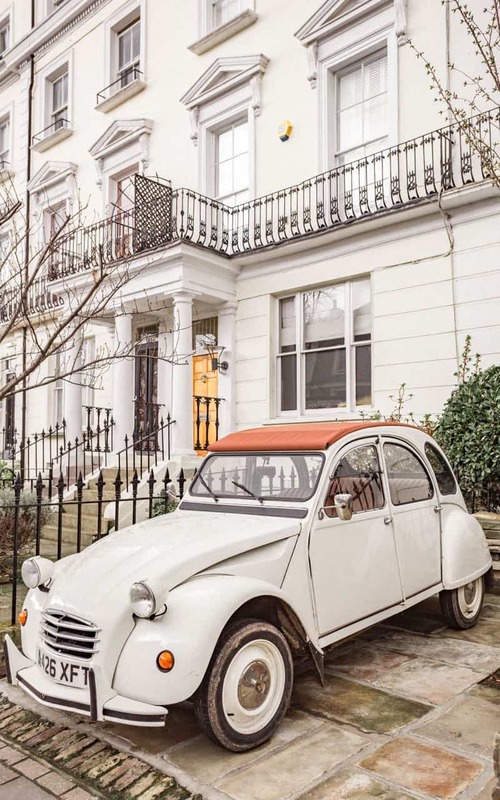 This would mean you could do a few museums, photograph all the popular neighborhoods and enjoy tea and restaurants. 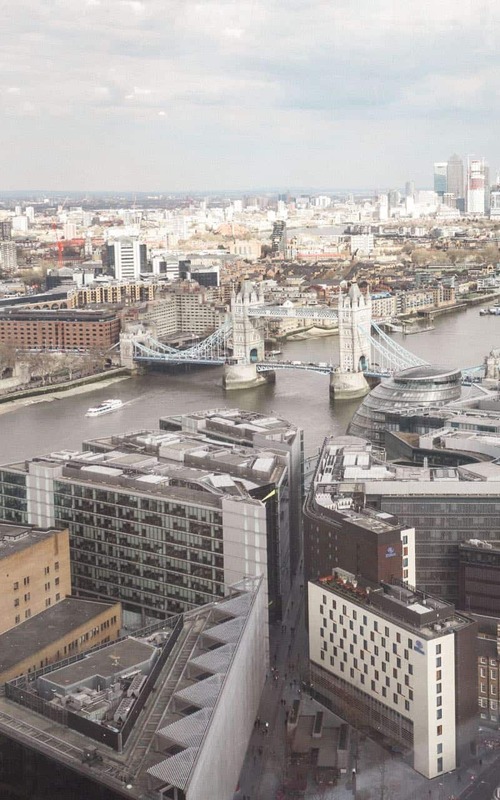 Of course, I think people say even a month isn’t enough in London but I guess it’s that way everywhere 🙂 If you don’t like to spend too much time in one place and only have a few days, you could split your time between London and Manchester. I actually wrote a blogpost about an extended weekend seeing both. That’s more of a rushed trip but great if you don’t have too much time to spare. 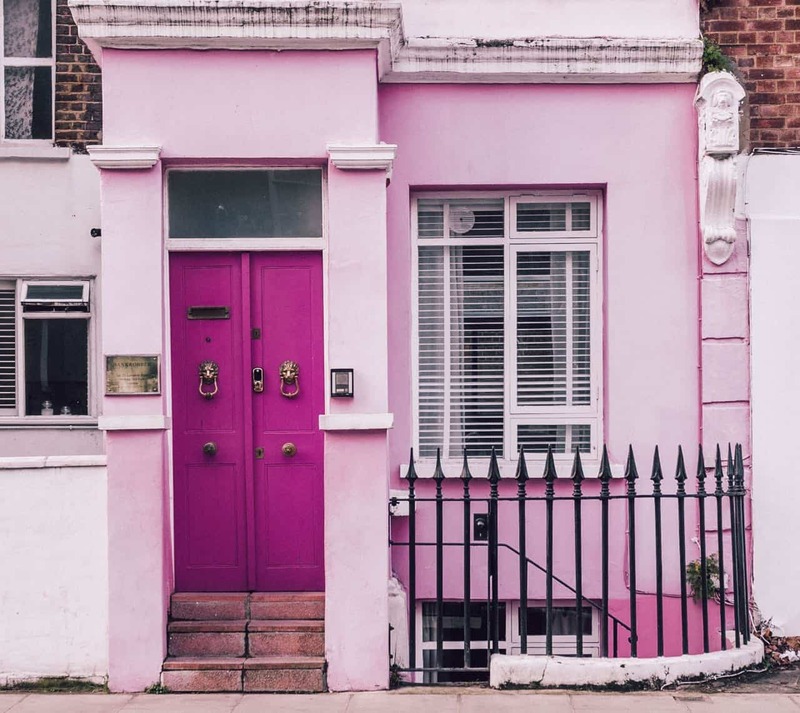 Just search my blog for Manchester or London and it will come up 🙂 Let me know if you have any other questions!